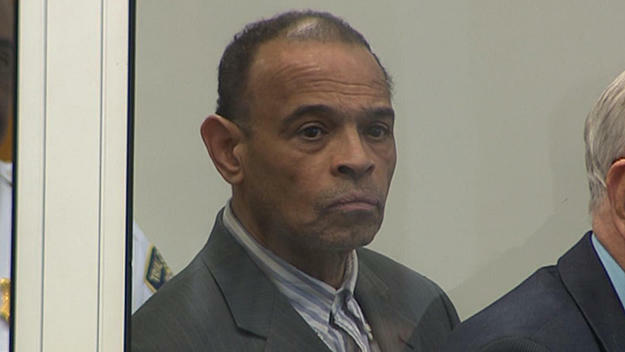 BOSTON -- A former dean at a Boston high school who was known as an anti-violence advocate has been convicted of shooting and nearly killing a 17-year-old student. Shaun Harrison was convicted Thursday of several charges including armed assault with intent to murder in the March 2015 shooting on Boston's Magazine Street. Prosecutors say the 58-year-old Harrison, a dean at Boston English, had recruited Luis Rodriguez to sell marijuana for him at the school and shot him because he believed the student was not generating enough sales and withholding money. Rodriguez testified during the trial that Harrison, a minister, was his trusted mentor, reports CBS Boston. Authorities say Harrison shot the student in the back of the head. The bullet entered Rodriguez's head just under his right ear, breaking his jawbone, and causing 50 percent hearing loss and nerve damage that left part of his face paralyzed. Harrison's attorney said Rodriguez was shot by one of his marijuana customers. Sentencing is scheduled for Friday morning. The most significant charge of armed assault with intent to murder is punishable by a maximum of 20 years in jail. Harrison has since been fired from his job at English High School, according to CBS Boston.